Peggy has more than 30 years of business and management experience. Peggy has been a managing partner in CMG for more than a decade and has more than two decades of experience in conference management and logistics and association management. 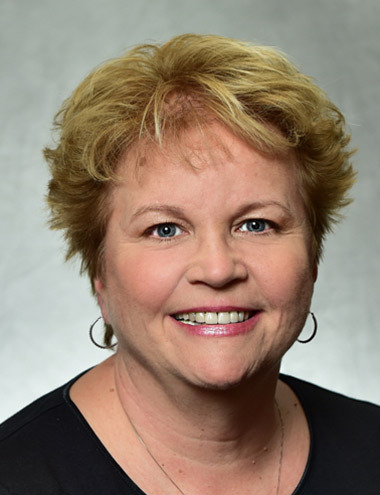 Prior to joining CMG, Peggy worked for large health care providers both on the academic and private practice sectors as practice administrator where she developed corporate employee training programs and as a hospital administrator for ancillary services for a large children’s hospital facility. Peggy’s combined experience has translated well into the association and meeting management business. Her ability to create operational plans and attention to executing details is a tremendous value to the clients we represent. Peggy attended Carlow University and completed her Bachelor of Science degree in business management from the University of Phoenix. In her spare time, Peggy enjoys gardening, collecting antiques and spending time with her Coton de Tulear, Reilly, who is a part of the CMG team and comes to work every day.